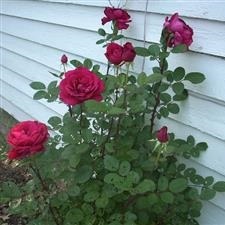 On the west side of our house lies a whole row of rose bushes which my wife has planted. When blooming, the look of the red flowers against the white wall of our house is dazzling. When you approach the roses to smell them, the fragrance is pleasant. But, should you lay hold of the stem, watch out, you may be cut by the many thorns. I have found ministry to be much like these rose bushes. There are times when the ministry is strikingly beautiful. When the Lord is clearly working in the lives of His people, it is stunning. And when the church is walking in unity and love and humility, it is pleasant for all around, especially for pastors, who get to enjoy the blessings that come. “Behold, how good and pleasant it is when brothers dwell in unity!” (Psalm 133:1). But, that’s not to say it is always this way. Whenever you live closely with others, sparks are sure to fly. Members sin against each other and tensions come among the believers. In Philippians 4:2 Paul urged two church members to get along, because they were not united. Darts are often directed toward the leaders of the church. And they can be painful, like the thorns of the rose bush. But, overall, I’m thankful that the joy has been much and the thorns have been few. Do You Have a Green Card? For foreign citizens to live and work in the United States of America on a permanent basis, they must have a government-issued permanent resident card. 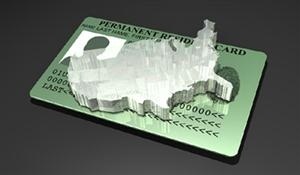 Informally, this has been known as a Green Card. Without it, a foreigner is here illegally and may be arrested, fined, and possibly sent back to their home country. With it, a foreigner is able to live as a productive member of society. Christians are like foreigners in another country. Paul wrote, “Our citizenship is in heaven” (Philippians 3:20). In a very real way, believers in Christ have another homeland, which is not here on earth. Jesus said, “My kingdom is not of this world” (John 18:36). It should feel as if we should have a Green Card even to have the permission to live here. Tim Tebow is a tremendous football talent. He won the Heisman Trophy playing for the Florida Gators in college. He was drafted in the first round by the Denver Broncos in the 2010 NFL draft. His #15 jersey is one of the top selling jerseys for the NFL. 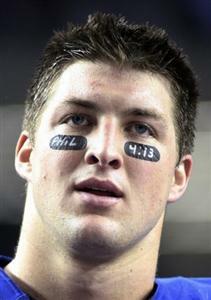 Tim Tebow is also an outspoken Christian. He grew up on the mission field in the Philippines. In college he often put Bible verses on his eye black (which has since been banned in college and is illegal in the pros). One verse that he placed on his eye black was Philippians 4:13, “I can do all things through Christ who strengthens me.” This verse is a favorite for athletes, who often think that this verse means that anything is possible for those who believe and follow Christ. However, if you read the context surrounding this verse, you find out that it means something more to the effect of this: “I can suffer the hardship of living in poverty and distress and affliction, because Jesus Christ strengthens me through the difficult times.” How appropriate for Tim Tebow nowadays. Although being drafted in the first round, Tim Tebow in currently Denver’s third string quarterback and facing the possibility of being cut from the team. His football career is in distress. Philippians 4:13 is very applicable for him in these days. Pray for him that he might be strengthened by Christ to endure faithfully through his difficult days, remaining true to the gospel he believes. 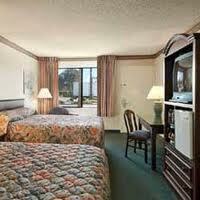 I have been to a number of very nice hotel rooms in my life. I have enjoyed them, but I don’t treat them as my home. For instance, if I don’t like the carpet color or the lamp or the window treatment, I don’t go down to Home Depot and purchase a replacement. Why? Because it’s not my home. It’s only a temporary room for me. Similarly, believers in Christ aren’t at home here upon the earth. Peter says that we are “aliens and strangers” (1 Peter 2:11) here upon the earth. Paul said that our true citizenship is in heaven (Philippians 3:20). May we live like we know where our true home is. 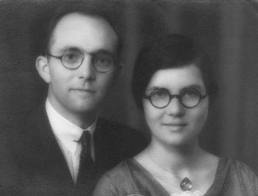 One of the great inspirational stories of the Christian faith comes from John and Betty Stam, missionaries to China in the 1930’s, during The Chinese Civil War. It wasn’t so much their life that has inspired many to go to the mission field. Rather, it was their death: they were captured by the Communists and beheaded. Shortly before his death, John wrote to the China Inland Mission board, “Their demand is twenty thousand dollars for our release. All our possessions and stores are in their hands, but we praise God for peace in our hearts and a meal tonight. God grant you wisdom in what you do, and us fortitude, courage and peace of heart. He is able-and a wonderful Friend in such a time. … The Lord bless and guide you, and as for us, may God be glorified whether by life or by death” (see Philippians 1:20). I love athletics. I played soccer, basketball, and baseball in high school and in college. I love playing these sports. I love watching sports (too much). I have learned much from my athletic competition. “If anyone competes as an athlete, he does not win the prize unless he competes according to the rules” (2 Timothy 2:5). “I have fought the good fight; I have finished the course; I have kept the faith” (2 Timothy 4:7). “Do you not know that those who run in a race all run, but only one receives the prize? Run in such a way that you may win. Everyone who competes in the games exercises self-control in all things They then do it to receive a perishable wreath, but we an imperishable. Therefore I run in such a way, as not without aim; I box in such a way, as not beating the air; but I discipline my body and make it my slave, so that, after I have preached to others, I myself will not be disqualified” (1 Corinthians 9:24-27). “I press on toward the goal for the prize of the upward call of God in Christ Jesus” (Philippians 3:14). But remember this. 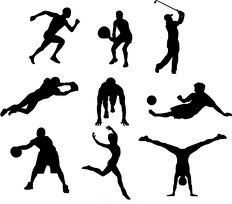 Athletics is only a metaphor that describes the Christian life. It isn’t the Christian life. Yes, let us learn from our sports. But, let us keep them in perspective. Paul said, “Discipline yourself for the purpose of godliness; for bodily discipline os only of little profit, but godliness is profitable for all things, since it holds promise for the present life and also for the life to come” (1 Timothy 4:7-8).